I went up on the roof to fix the weather vane and ended up painting instead. 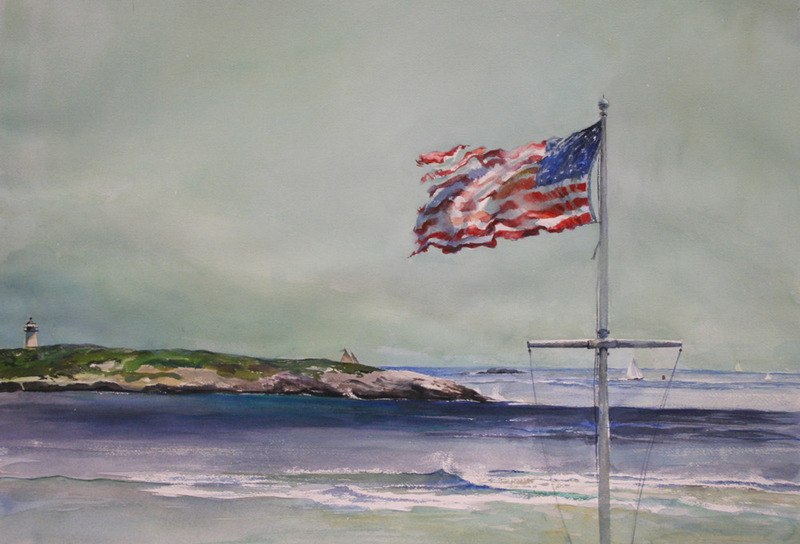 The flag was stretched out straight in the stiff wind and the sailboats were breezing by Pond Island. A fine day to be painting.